← Brooke Moss answers my Awkward Questions, PLUS a giveaway! 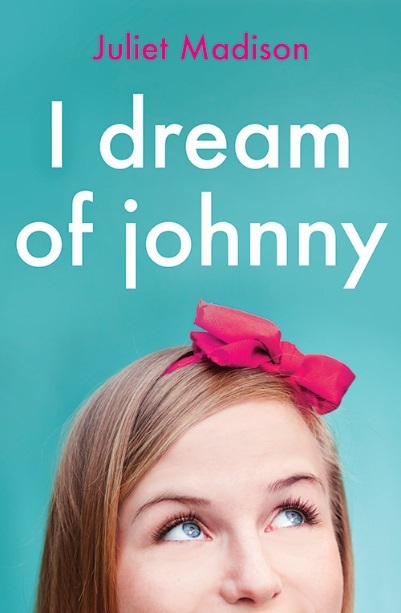 Pre-orders available for I Dream of Johnny, plus a multi-book giveaway! iTunes, click here (or search the title in the app store). You can also visit the book page at the Escape Publishing website which has links to all the other online stores it will be available from. Getting three wishes isn’t all it’s cracked up to be when an unfortunate spelling error in Mandy’s high-tech magic lamp changes her wish for a Greek God to a Geek God. His fashion IQ is in the negatives, he’s clingier than cling wrap, and he has a penchant for breaking into song at inappropriate moments. Before Mandy can request a replacement wish, she has to put up with him for twenty four hours, and the timing couldn’t be worse — it’s her friend’s wedding day, her ex will be there, and the God of Geeks insists on coming along for the ride! Now onto other news… namely, news involving prizes, prizes, prizes! I’m giving away a copy of FAST FORWARD and a heap of other authors are giving away copies of their books and swag over at Riverina Romantics. If my maths is correct there are 38 books up for grabs! What are you waiting for? Head on over and enter the draw to win. Oh, here’s the link. And remember, on 2nd September here on the blog I’m hosting another huge giveaway with around 50 blogs participating and offering prizes, so I’ll see you back here on the 2nd! Posted on August 3, 2013, in Announcements, Books, Competitions and tagged books, competitions, giveaway, i dream of johnny, novella, novellas, preorder. Bookmark the permalink. 1 Comment. Ooh how exciting! I’m not a Kindle reader so will have to wait for the other version unless it’s available for preorder on the other sites too?